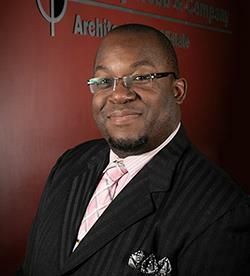 A native of Milwaukee, Wisconsin, Stephen moved to Springfield to attend Drury University where he received a degree in Architecture with a minor in Global Studies. He also received his landscape design certification from Ashworth College. He began his career in 2004 when he joined the Design Development team with Bass Prop Shops, Inc. as an independent contractor. Stephen joined BWCO in April 2005 and moved into the role of project manager very quickly. He is licensed in the State of Missouri. With over 13 years experience in the industry, he serves as a project architect on a variety of commercial and residential projects. Stephen adheres to the firm’s philosophy of excellence and further believes that the design process can be visualized as a path around three focus areas; architectonics (the science of architecture), art, and the human experience. Understanding these principles along with providing the highest quality of service to our clients, consultants and contractors with accuracy, integrity and responsiveness will allow BWCO the freedom to help shape the architectural landscape in the 21st century.